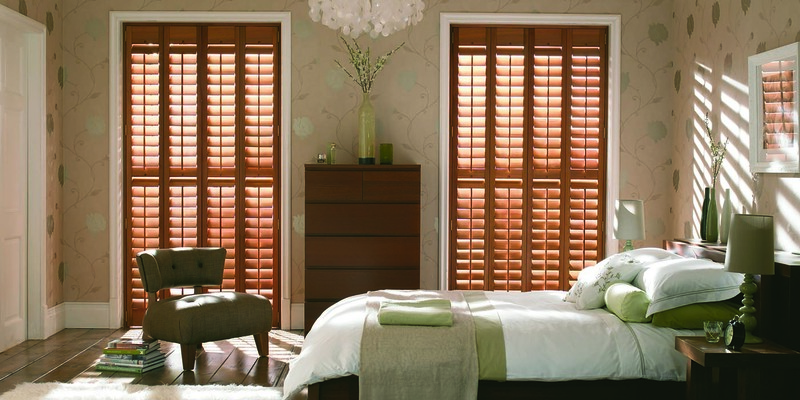 Our wooden shutters in Aberdeen are handcrafted and sophisticated – a stylish addition to any home. 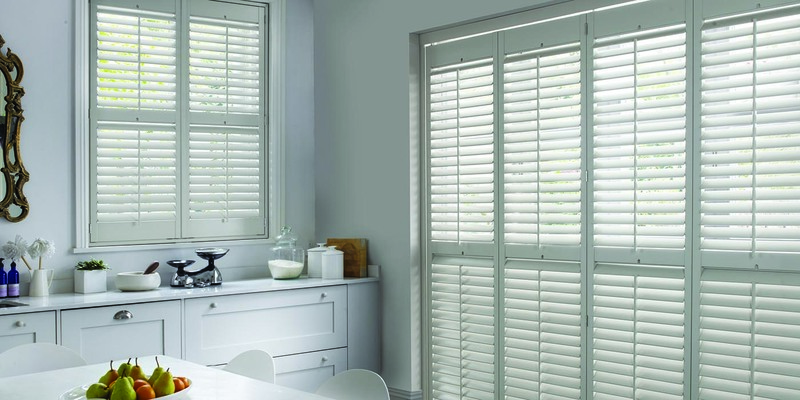 With their sleek minimalist lines shutters will look stunning in any room in the house. Whether you are looking for a focal point or something to blend into the background these are a perfect alternative to curtains. 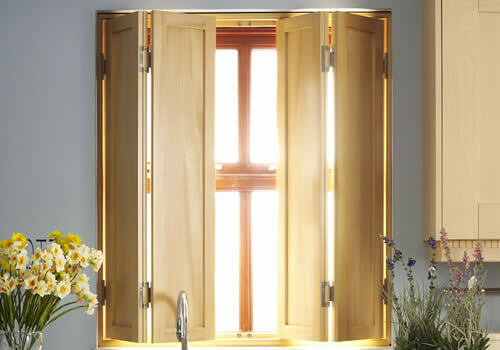 These may be classed as fixtures to the window thereby potentially adding value to your home. Practical and easy to clean and maintain these are suitable for moisture rich areas including bathrooms and kitchens. 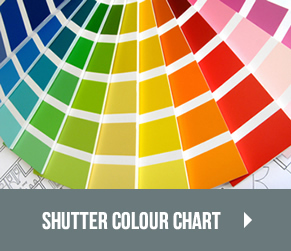 Our shutters are available for use indoors in a range of colours and styles including full height, tier on tier, cafe style, tracking and solid shutters. 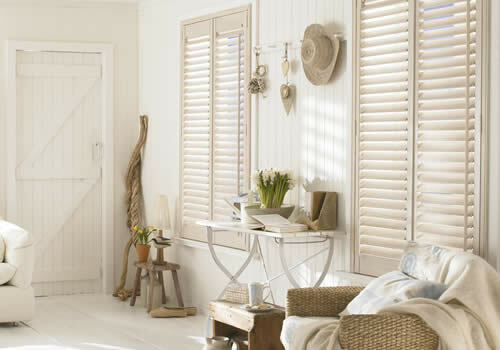 Our most popular style of shutters due to their flexibility almost as much as their look. Covering the full height of the window, panels can be divided into fully controllable sections. 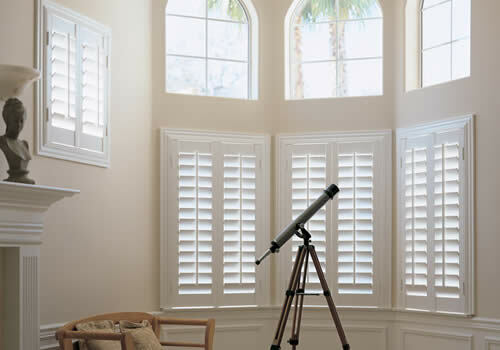 Tier-on-Tier shutters have separate panels on the top and bottom that can be controlled independently. 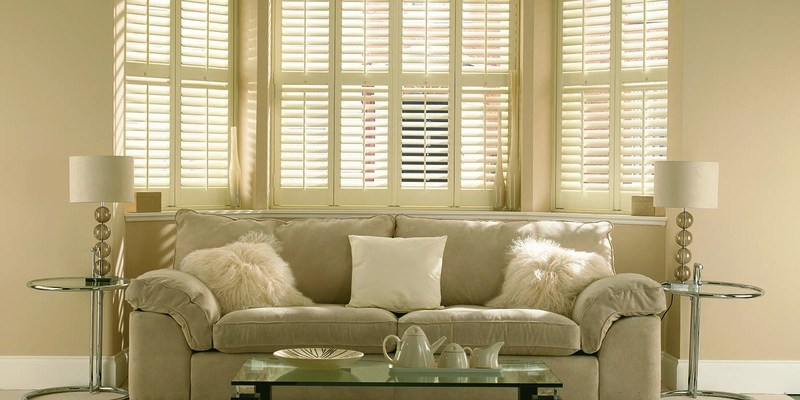 Cafe style shutters invoke thoughts of Parisian chic. Only lower half of window is covered to ensure privacy but allow light into the room. 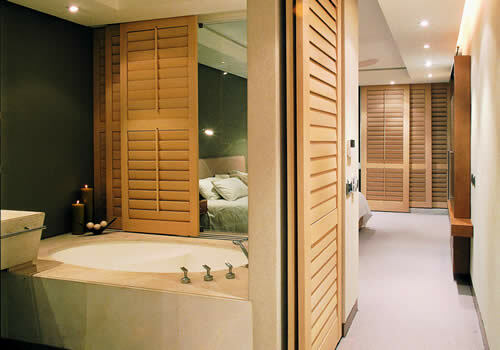 Solid shutters maximises privacy and insulation. 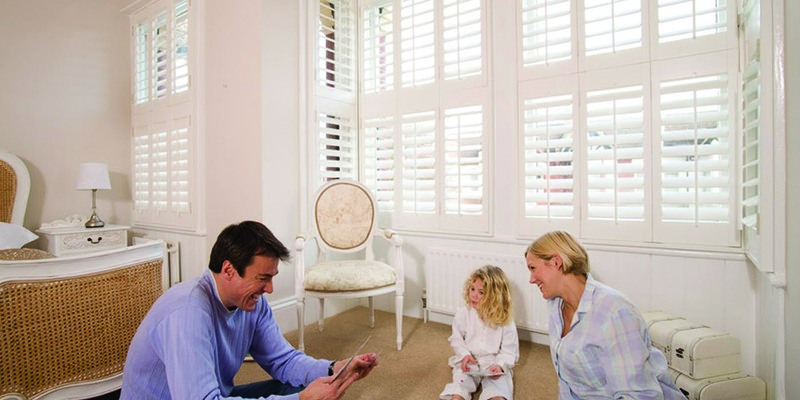 Our plantation shutters are perfect for bay windows – big or small. 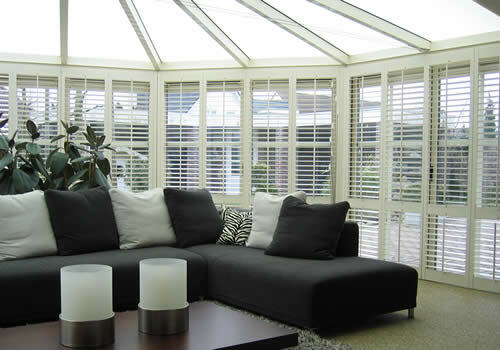 Available in two styles, tracked shutters offer you a gliding system for opening and shutting. Bi-fold shutters – concertina style – are great for garden rooms and By-pass shutters – slide past each other – are perfect for sliding doors. 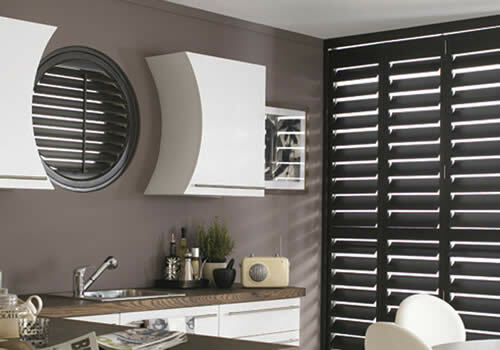 Our shutters can be manufactured to fit your windows regardless of shape. We can fit into windows that are circular, arched or angled.